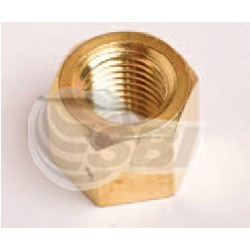 We are recognized as leading manufacturer, supplier and exporter of a wide assortment of Brass Nuts. The range of brass nuts we deal in is designed by knowledgeable professionals as per the international industry guidelines and defined norms. We offer these brass nuts at competitive market rates.